The United Nations Volunteers (UNV) programme in Mexico, along with the Secretariat of Foreign Affairs of Mexico, the National Institute of Social Development (INDESOL), and the International Association for Volunteer Efforts (IAVE), gathered various private and civil society organizations, public institutions, government departments, and youth volunteers to hold a dialogue on the challenges and achievements of volunteerism in Mexico. Their inputs were collected and will be reflected in the “National Situation Analysis” report (NSA). Discussion tables in the National Situation Analysis workshop in Mexico workshop, organized by the United Nations Volunteers (UNV) programme. As part of the implementation of the plan of action presented by the UN Secretary-General (A/70/118) to integrate volunteering for the next decade and beyond, UNV is facilitating the preparation of five regional synthesis reports, as an input to the 2019 regional consultations in preparation for the global technical meeting in 2020. UNV in Latin America, is also engaging relevant ministries, national agencies and volunteer involving organizations, to take part of this global process, which will contribute to the creation of favorable conditions for volunteerism in the region. In this context, Mexico agreed on joining this NSA process, initiating with a consultation that included relevant organizations and volunteers at a national level. 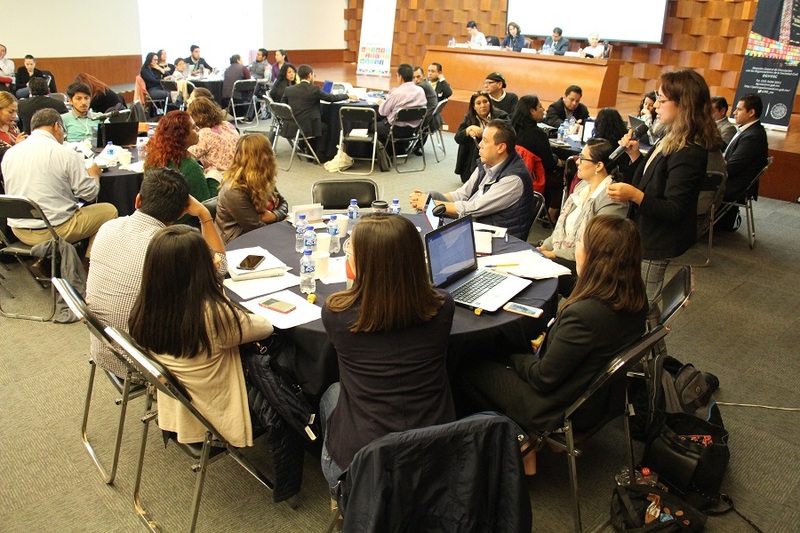 Through a partnership between UNV, the Secretariat of Foreign Affairs of Mexico, INDESOL, and IAVE, gathered various private and civil society organizations, public institutions, government departments, and youth volunteers, in a consultation workshop. Its objective was to get inputs from the participants, about the current situation of volunteerism in Mexico, and to collect data on its scale, scope and impact. Through the conversations, four key areas were identified: (i) Policy and legislation, leadership and resources; (ii) Functioning schemes and organizations at the national and subnational levels; (iii) The state of impact assessment, monitoring and evaluation of volunteer initiatives; and (iv) Data of volunteers. These topics guided the discussion tables, which focused on obtaining data and information that will become the outline of the state of volunteering in the country. A total of 130 foundations and communitarian groups participated, as well as 14 public institutions, 4 private organizations, and 10 youth volunteers. Currently, the preparation of the final report is taking place, with the support of the online Mexican volunteer Julieta Ramírez, contacted through the UNV Online Volunteering Platform. The final analysis will be followed by regional consultations to be held in 2019. This report, along with other in the LAC region and in the world, will be addressed in the Global Technical Meeting 2020, which will be the most important milestone for volunteerism for the world.